Spittal was born in Edinburgh, the eldest son of a prominent nouveau riche silk merchant Sir James Spittal (1769 – 1842) who was very active in radical Whig politics, campaigning against the excesses of the undemocratic unreformed Town Council. For the first election after municipal reform in 1833, the year of Rev. John Spittal’s birth, broadsheets with both pro-Spittal and anti-Spittal election songs were in circulation, but Sir James was elected to the first reformed Town Council of the City of Edinburgh, and served as Lord Provost from 1833 to 1837. Sir James died at the age of 73 in 1842, leaving his much younger wife, Lady Mary Spittal, with the 9 year old John and two younger children, while he was commemorated by the City in the name of Spittal Street in the Grassmarket area. John was educated first at Edinburgh School, but by the time of the 1851 Census of Scotland the 18 year old he was a student at the Edinburgh Academy, though still living with his widowed mother at the family home in a fashionable area to the south-east of the city centre, close to the Holyrood Park. In 1855, at the age of 22, he entered Trinity Hall, Cambridge, graduating BA in 1859 and MA in 1863. 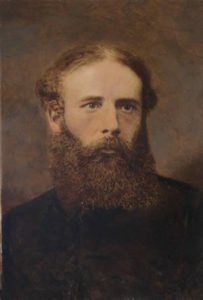 However, he must have remained in touch with leading figures in Edinburgh society, since in 1857 he was elected a member of the long-established and exclusive Speculative Society of Edinburgh – a private debating and social society with its own accommodation within the College Buildings of Edinburgh University. In 1859 Spittal was ordained deacon and in 1860 priest in London. He was curate of Stoke Newington, London, from 1859-61, and of Stepney, London, in 1861, then at the age of only 29 in 1862 he moved to Leicester as the first Vicar of the new parish of St. Andrew’s. This had been established to serve the rapidly growing largely working class population of the new housing and industrial developments west of the Royal Infirmary and stretching beyond the river and canal to Narborough Road and beyond, and in addition to a large new Church and Vicarage by George Gilbert Scott on Jarrom Street, St. Andrew’s also had two new church schools. At the Consecration of the new church in February 1862 the newly arrived first Vicar of the parish presented a Communion set to the Church. Spittal, a Tractarian who established the High Church tradition in St. Andrew’s which continues today. He was also very active in expanding the educational and social work of the Church: his support for the Lit. and Phil. can be seen as part of that focus. In 1874 he left Leicester to become Vicar of South Banbury, Oxfordshire, for four years, after which he was Rector of Heywood, Lancashire, from 1878 to 1885, when he became Vicar of St. Peter’s, Ryde, Isle of Wight, serving through to his death in Ryde in 1897.